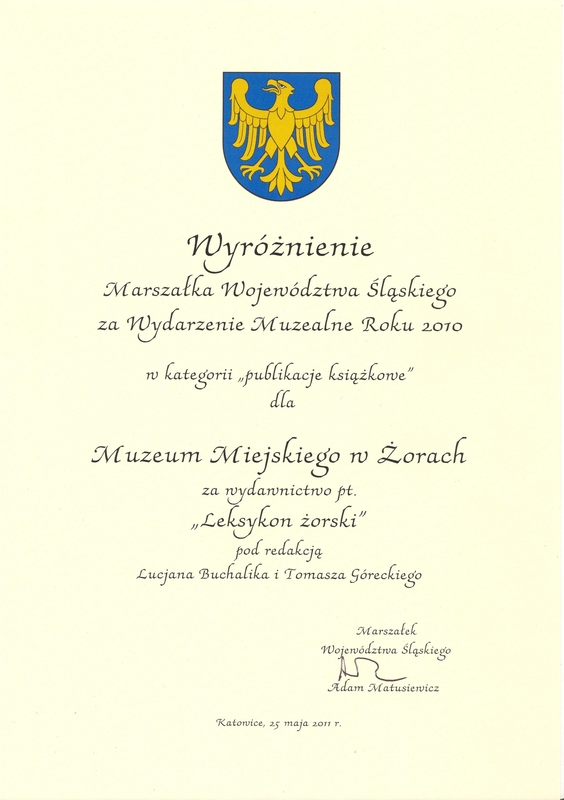 The Municipal Museum in Żory is awarded in many prestigious competitions. 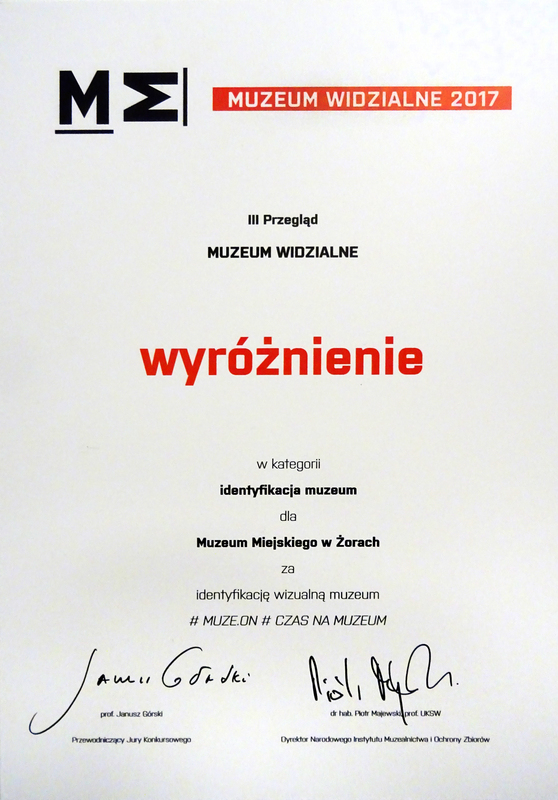 We’re happy about our museum vision appreciation. 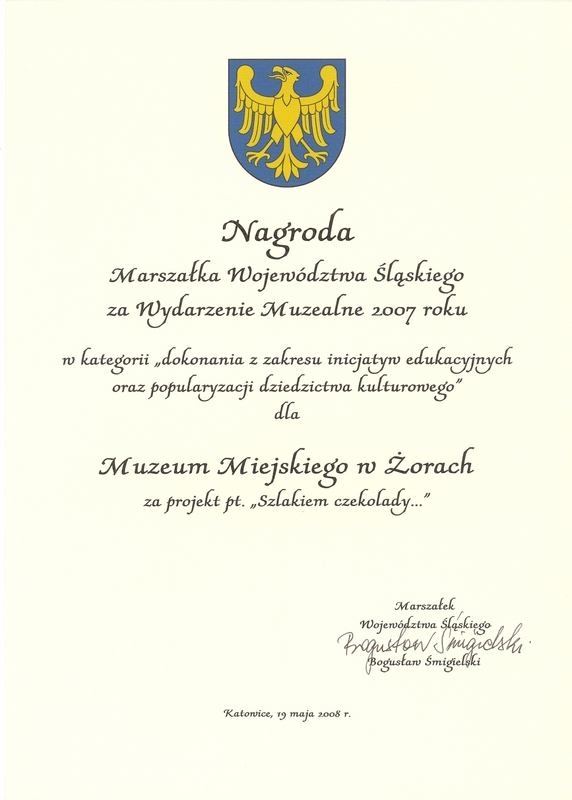 We report our ideas to contest on regional and polish nationwide level. 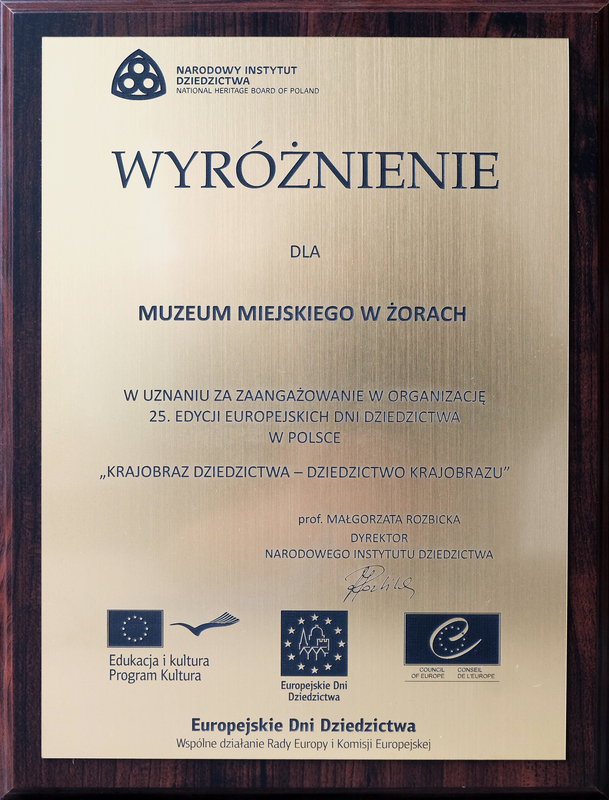 There’s a role, which can’t be left unmentioned; a role, which, in case of every award, falls to our main graphic designer and artist – Anna Flaga. Due to her, our projects were visually unique, considered and polished. 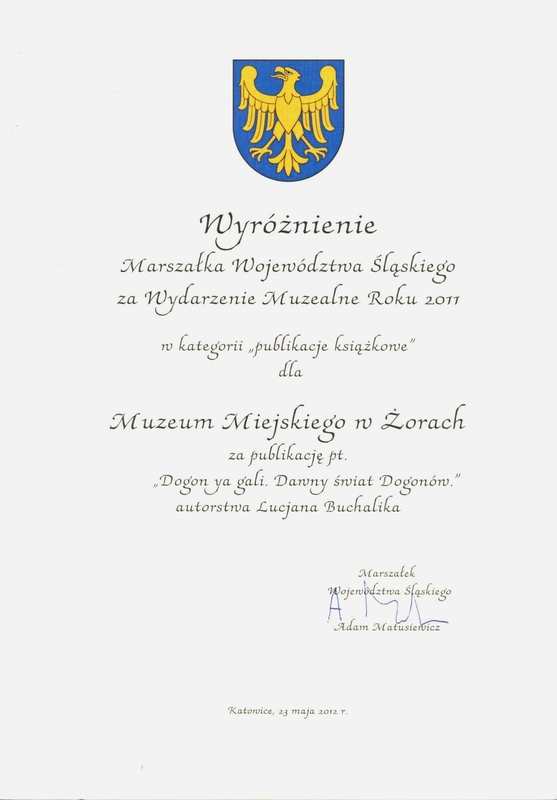 We’re happy the most of these small awards, passed to us by our Guests, who come back and claim that there is a thing to come back for. Now it’s just a formality. 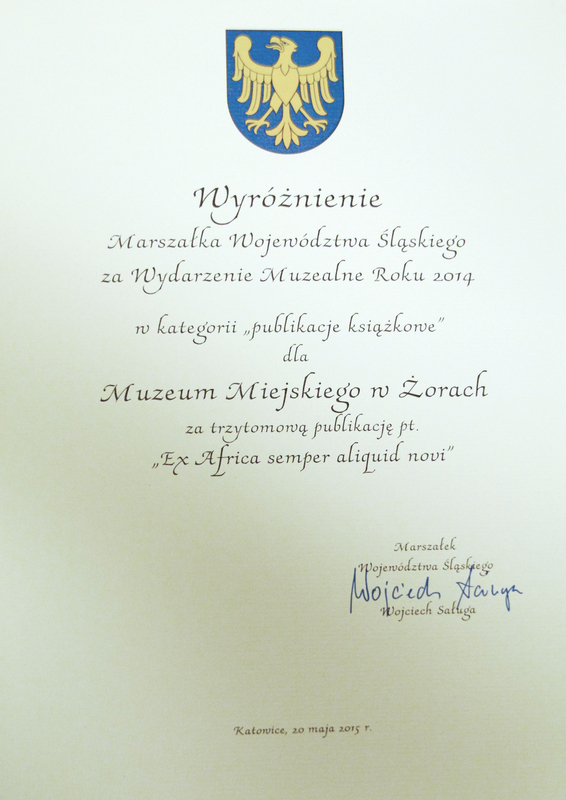 Here is a list of our achievements. 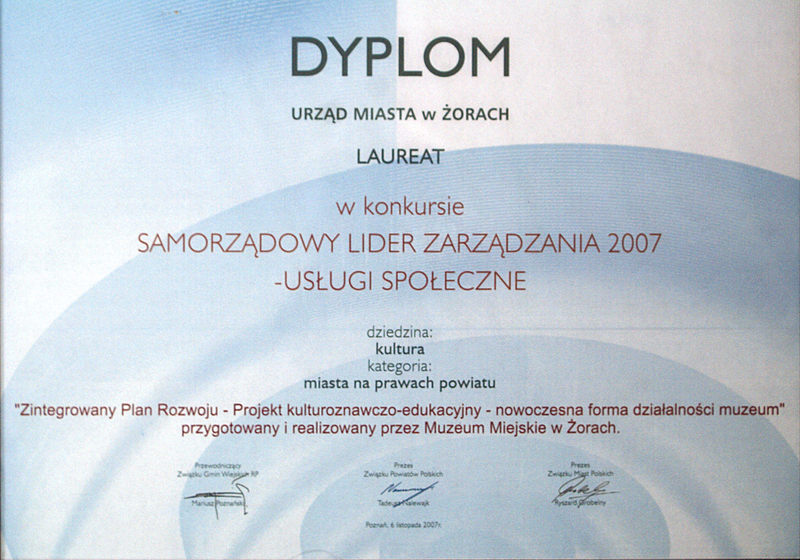 2001 – Individual award passed by the Principal of Culture Animation Centre in Warsaw for “Closer to Africa” project. 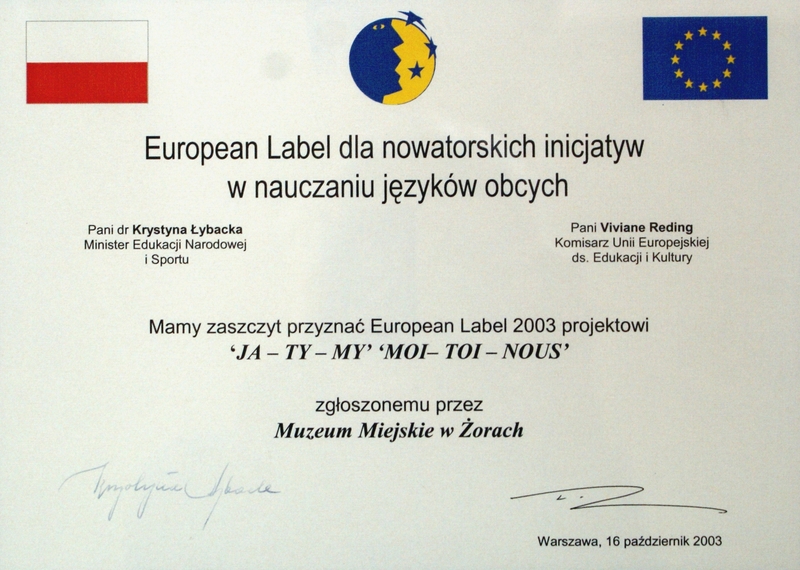 2002 – European Label of Socrates Agency for educational project “JA – TY –MY MOI – TOI – NOUS” for innovative implementation of foreign languages into lessons. 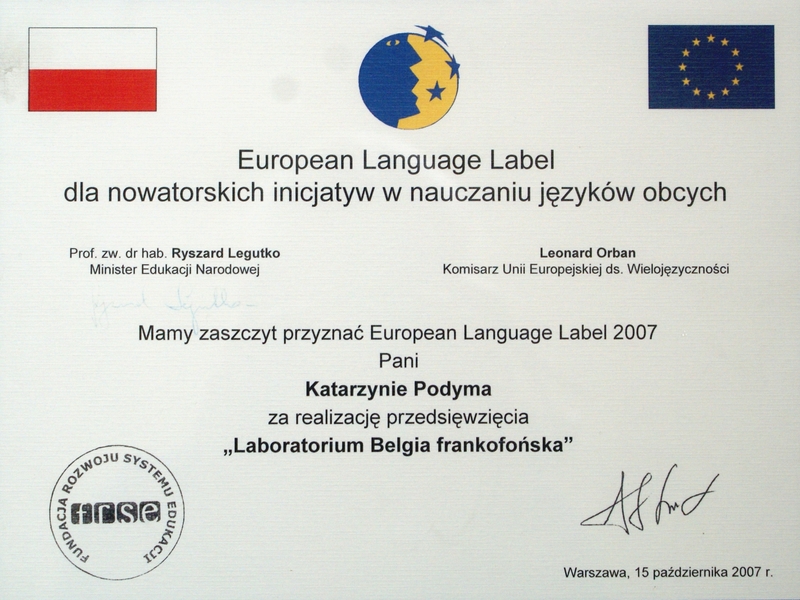 2007 – European Label for educational project “Lab – Francophonie Belgium” for innovative implementation of foreign languages into lessons. 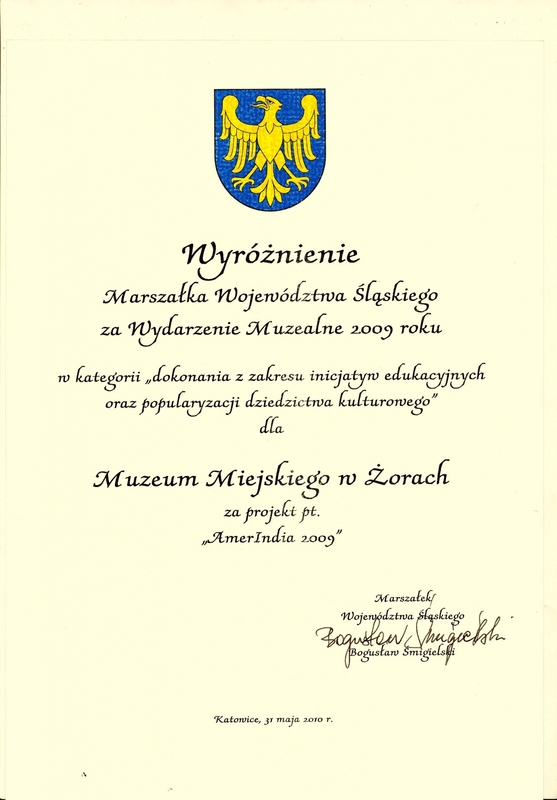 2007 – European Label for educational project “Guatemala knocks me down” for innovative implementation of foreign languages into lessons.